Pamper your skin with this Pure and Gentle soap bar from Pears. Made with the goodness of natural oils and pure glycerin, this soap bar moisturizes your skin and gives it a soft and supple feel. The soft lather and mild fragrance makes this soap bar is ideal for everyone. Its formulation reaches deep into the skin pores and nourishes the skin. The soap bar features excellent cleansing properties that eliminate dirt and skin impurities, thus giving you a radiant looking skin. This soap also retains the natural oil of your skin to not leave it dry after a bath. 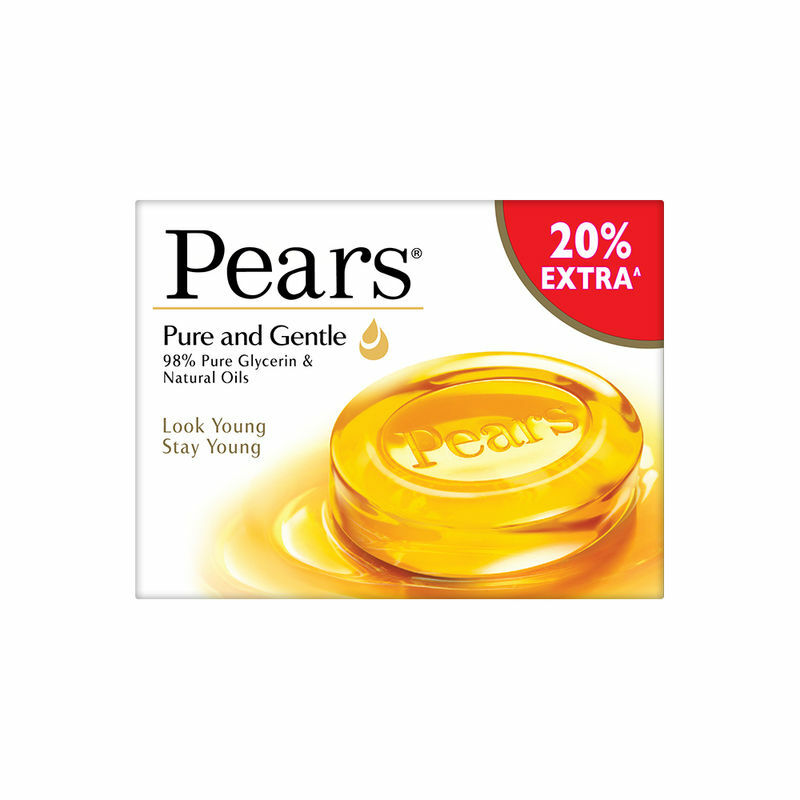 The Pure and Gentle Bar from Pears is available in a 125 gm pack, here. Explore the entire range of Soaps available on Nykaa. Shop more Pears products here.You can browse through the complete world of Pears Soaps .